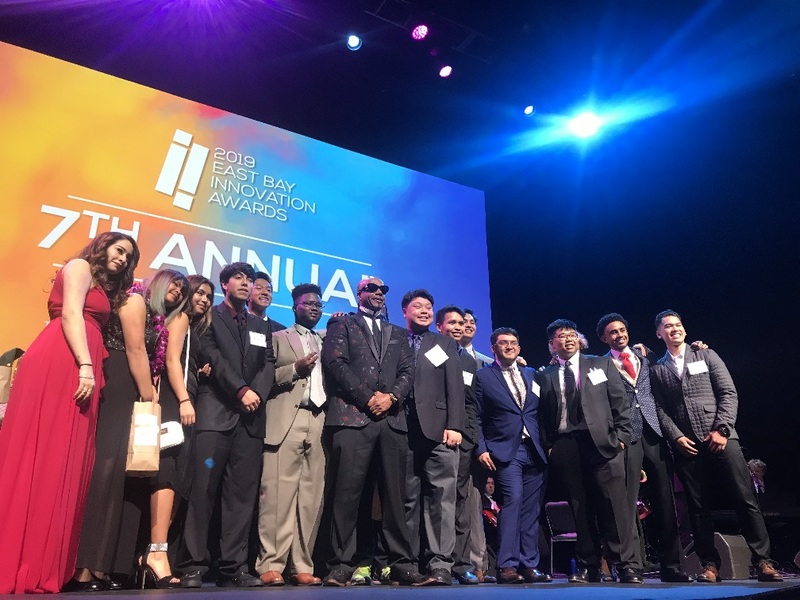 For the second year in a row, an innovative young San Leandro company was recognized at the East Bay Innovation Awards! New bio-tech company Prime Roots Foods was awarded the 2019 East Bay Innovation Award in the Food category for its groundbreaking fungi super-protein. 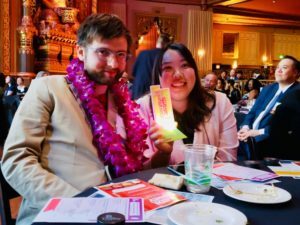 Co-Founders Kimberlie Le and Joshua Nixon were there to accept the award and had great things to say about doing business in San Leandro and the East Bay overall. Nielsen data shows that the plant-based food industry is indeed booming, with 2018 sales up 20% from 2017, compared to 2% growth in overall food sales. The plant-based food industry is now a $3.3 billion industry. Like so many other alternative meats manufacturers, Prime Roots’s chief concern is sustainability. The manufacturing of plant-based protein leaves a significantly smaller carbon footprint than traditional meat production. Prime Roots’s manufacturing process includes growing the Koji fungus (which has been used for centuries to help create foods such as miso broth and soy sauce) through fermentation, similar to brewing beer. The fungus base has a fibrous texture similar to meat that can then be seasoned and formed to mimic different kinds of meat. Prime Roots works at Gate 510 and is in the formation stages of the company, but is getting ready to scale up production for commercial sales. Still in the development stage, Prime Roots’s products are not yet found in stores. Currently, the company is concentrating on manufacturing a product of the highest quality, identifying demand, and fielding commentary of their products. 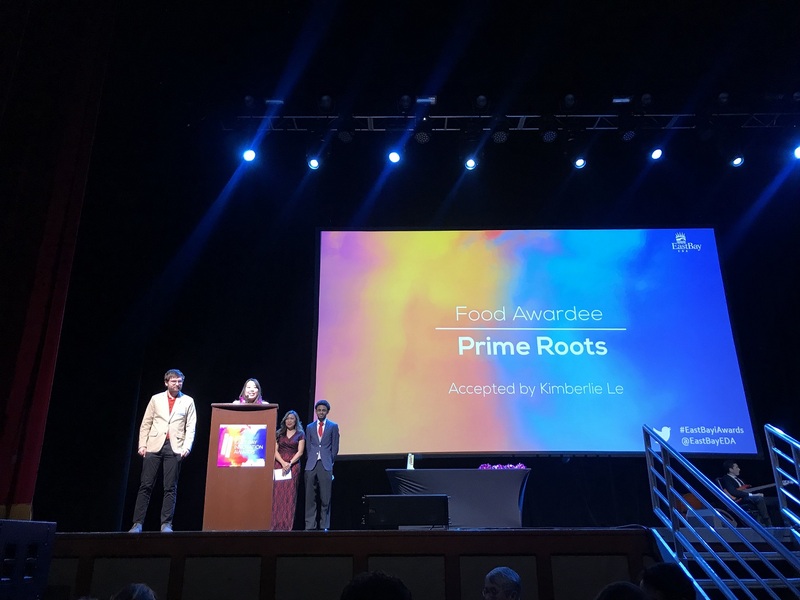 For those interested in sampling the product, Prime Roots offer memberships to interested foodies, who can then taste and test their product at events across the Bay. To learn more about Prime Roots, visit the website, or read about them in the article in this week’s San Francisco Business Times. San Leandro was further represented at the East Bay Innovation Awards with alumni of PilotCity’s innovative incubator program assisted with the award program. The students were on stage to help introduce the finalist and announce the awards. It was a great way to highlight PilotCity as last year’s Innovation Awardee in the Education category and highlight all of the great things going on in education in San Leandro. The students were also excited to get a picture with East Bay Innovative Artist awardee – MC Hammer!